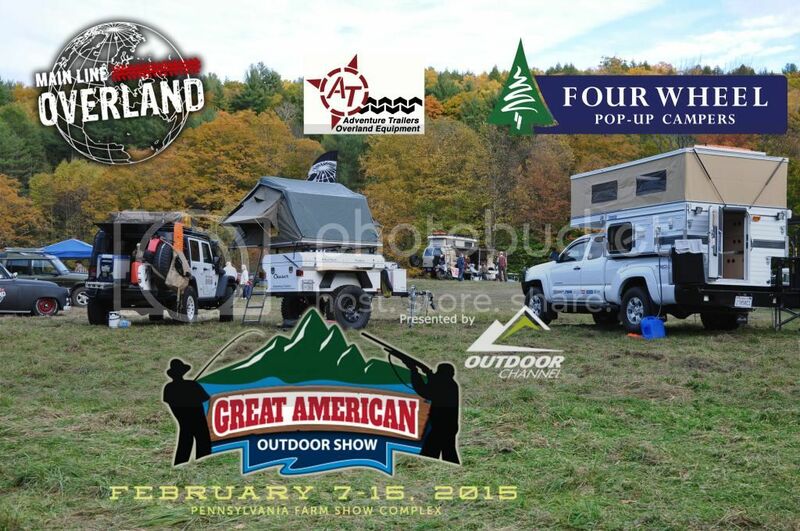 Main Line Overland will be exhibiting at the Great American Outdoor Show along with Four Wheel Campers and AT Overland Equipment. The show is Feb. 7-15th, located at the Pennsylvania Farm Show Complex in Harrisburg, PA. We will be running some show specials for those of you who attend. Come and see these amazing products in person. We hope to see you there!